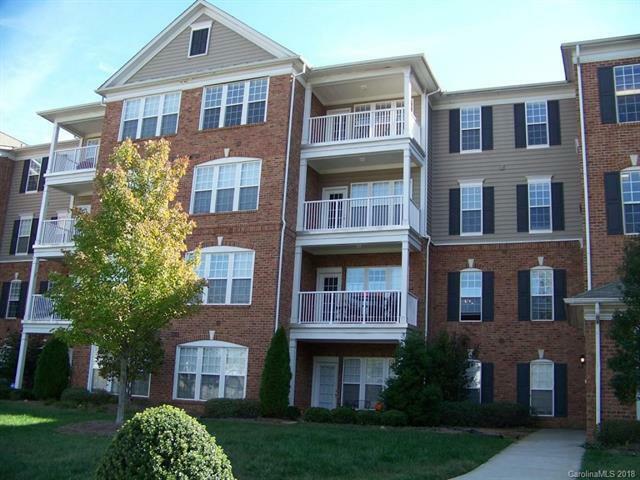 Fabulous condominium in desirable Southpark location. Minutes from Southpark Mall, Uptown, and Interstate 77. Location is everything! Top 4th level unit facing West overlooking canopy trees. 3 Bedrooms (Dimension Master -12.5'x14', Second -10'x14', Third - 10'x11.5'), 2 full Bathrooms (master bath w/dual sinks and standup shower, 2nd bath with shower tub). Extra large walk-in closet off of master bathroom. Beautiful hardwood floors in living room, dining area, and hallway. Decorative ceiling light/fan fixture with remote and fireplace in livingroom. Spacious balcony with great view off of livingroom. Ceramic tile floors in kitchen. Natural color Maplewood kitchen cabinets. Neutral beige color corian solid surface countertops in kitchen with black and stainless steel appliances. Walk in laundry room off of kitchen with washer and dryer included. Private unit with tons of natural light! A must see! Offered by Golf Realty, Inc. Copyright 2019 Carolina Multiple Listing Services. All rights reserved. The data relating to real estate on this Web site derive in part from the Carolina Multiple Listing Services, Inc. IDX program. Brokers make an effort to deliver accurate information, but buyers should independently verify any information on which they will rely in a transaction. All properties are subject to prior sale, change or withdrawal. Neither Bluaxis Realty nor any listing broker shall be responsible for any typographical errors, misinformation, or misprints, and they shall be held totally harmless from any damages arising from reliance upon this data. This data is provided exclusively for consumers' personal, non-commercial use and may not be used for any purpose other than to identify prospective properties they may be interested in purchasing. © 2019 Carolina Multiple Listing Services, Inc. Data last updated 2019-04-24T10:59:04.983.